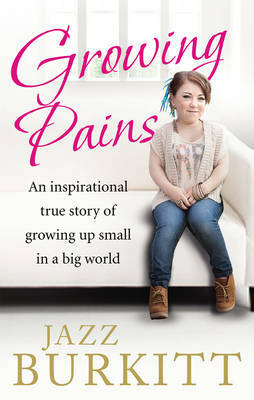 In Growing Pains, Jazz Burkitt, the star of BBC3's Small Teen Big World, shares her story of trying to live an ordinary life in extraordinary circumstances...As a dwarf herself Jazz's mum Bev knew the difficulties her 3ft 11 in daughter faced growing up and together they tackled each challenge head on. But by the time Jazz was a teenager, her mum's own problems had become so severe that it was time for Jazz to be the strong one. Bev had always told her daughter to live life to the full. But how could she do that if she needed to look after her mum too? Honest and inspiring, Jazz's heart-warming tale shows that no matter how small we might feel, we can always have big dreams.